Pottery manufacture for many centuries has been the most highly developed kind of Handmade pottery in Central Asia. Irrigated and non-porous ceramics of the leading centers had local features, manifested in the uniqueness of forms, ornamental décor and color. 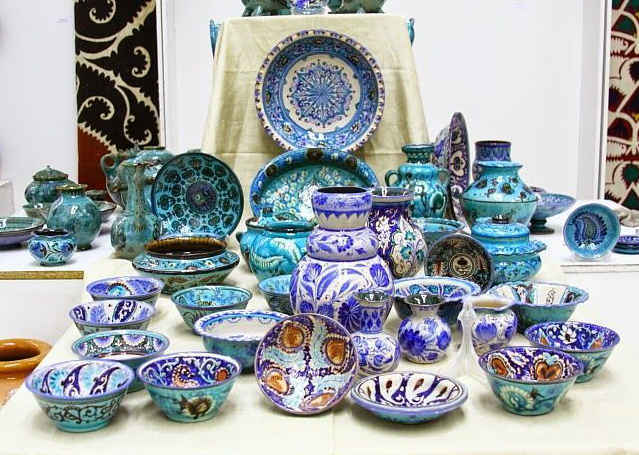 The traditional centers of ceramic production, which have survived to this day, include Rishtan, Gizhduvan, Khiva, Samarkand, Gurumsaray, Shakhrisabz, Urgut, Khorezm, Tashkent. In recent years, historically established production centers are reviving, the assortment of products (dishes, bowls, and bowls for tea, vessels for water and milk, and various types of products for storing products) is expanding significantly, and their quality is improving. Masters, feeling the support of the state, increase production volumes, to achieve profitability and competitiveness of their products. They seek to preserve local characteristics, restore forgotten forms and drawings. At the same time, new ornamental and depictive motifs appear in the decoration of ceramic products. Masters of the Samarkand school revive the tradition of decorating vessels with stucco elements in the form of heads of animals and birds. In Rishtan, the oldest masters and representatives of the younger generation brilliantly master both the molding technique (masters-kuzagars) and the painting (usto nakkoshi). 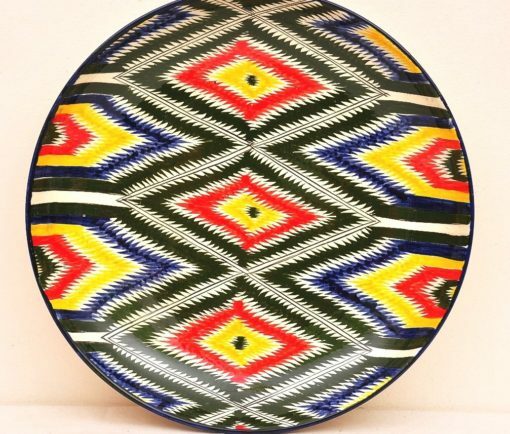 The peculiarity of Rishtan ceramics – bihromic coloring – is as restored, as is the secret of the production of the famous icicle glaze, a dye derived from plant ash. Currently, masters are working with uncomplicated ready-made alkaline glazes. 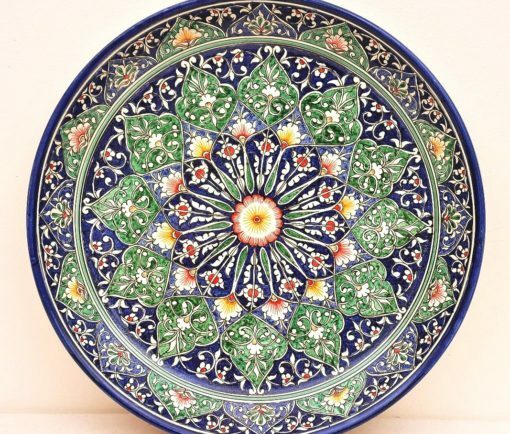 Decor of Rishtan ceramics is mainly vegetative, as well as images of kumgans, symbols of prosperity and well-being, knives, birds, fish, elements of architectural decor. An ancient tradition of making figured vessels for water – the musalla – with a body in the form of a duck was revived.